? 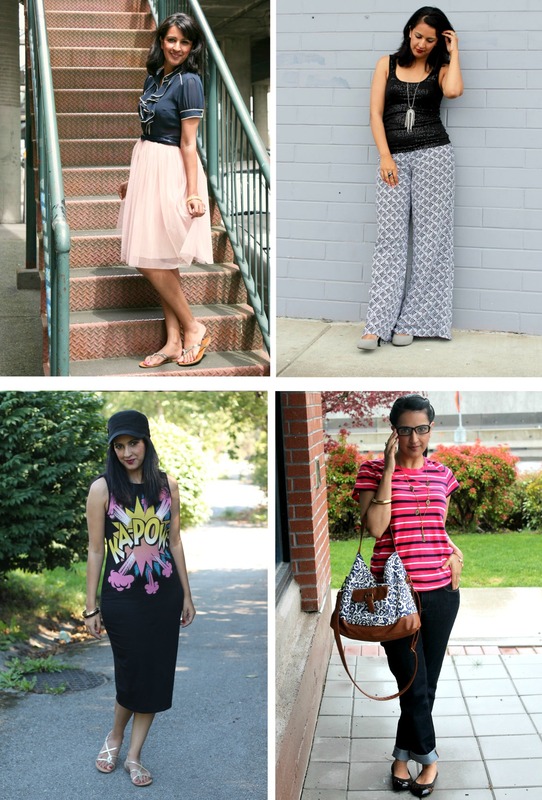 20 Outfit Ideas for Spring and Summer ? Do you ever go through a phase where you feel like you have NOTHING to wear? Story of my life right now. Yesterday we were working on an upcoming fashion piece for the blog and I felt like running out to buy a new dress (even though I have at least 5 new dresses I haven’t even worn yet)! It can be so tempting to replace your entire wardrobe each season, but it’s just not feasible for most, and it’s not very eco-friendly (or financially responsible). So, today I’m going to go through my wardrobe and try to create a few outfits that feel new to me by mixing and matching accessories and shoes. 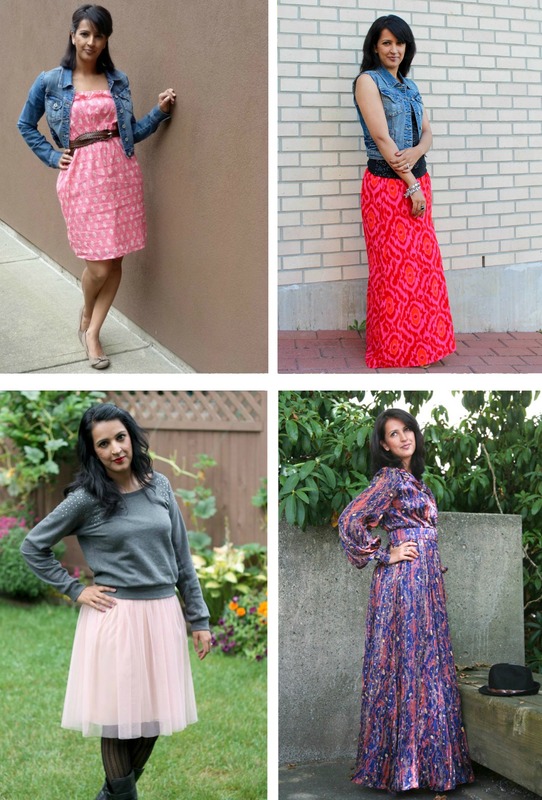 I also thought it would be fun to take a walk down memory lane and look at some of my favourite spring summer outfits through the years! 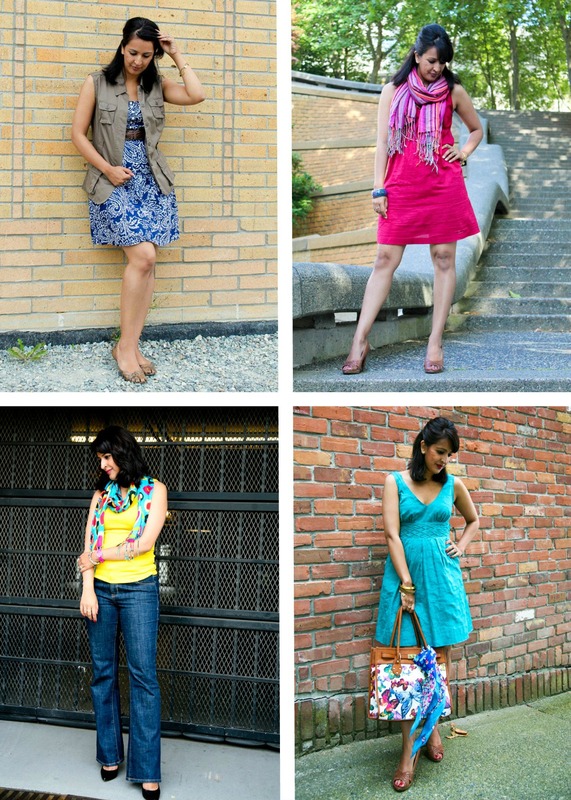 From the collage above you can see that I’ve always been fond of sleeveless vests & colourful scarves! 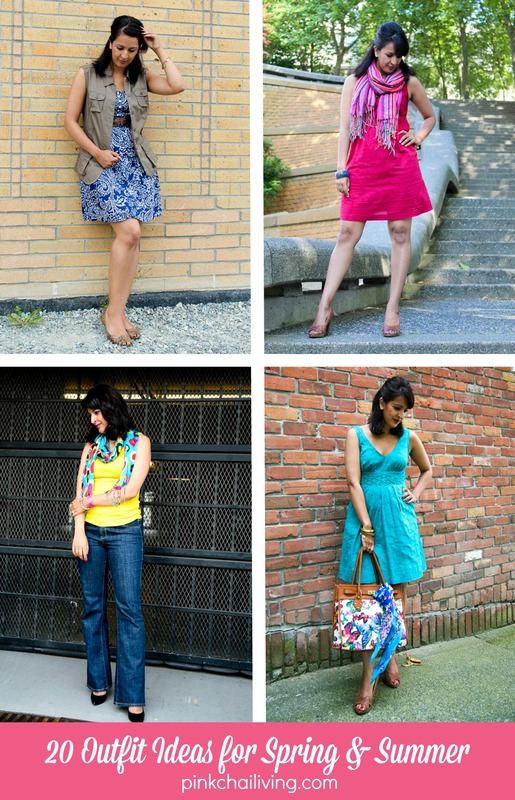 Even though these pics are 3 or 4 years old, I still own most of these pieces and plan to wear them this season too. Some more signature pieces; denim vest, leopard flats, statement necklace, and colourful accessories. It’s interesting to see how the same types of accessories can work with so many different outfits. The look in the top left corner here is so basic you almost can’t really call it an outfit, but I included it because it’s my summer go-to; t-shirt dress, cute sandals, and printed bag. Pattern mixing is a simple way to add a little fun to your wardrobe. There’s a definite pattern here: dress, plus sandals, plus denim & brown belt! 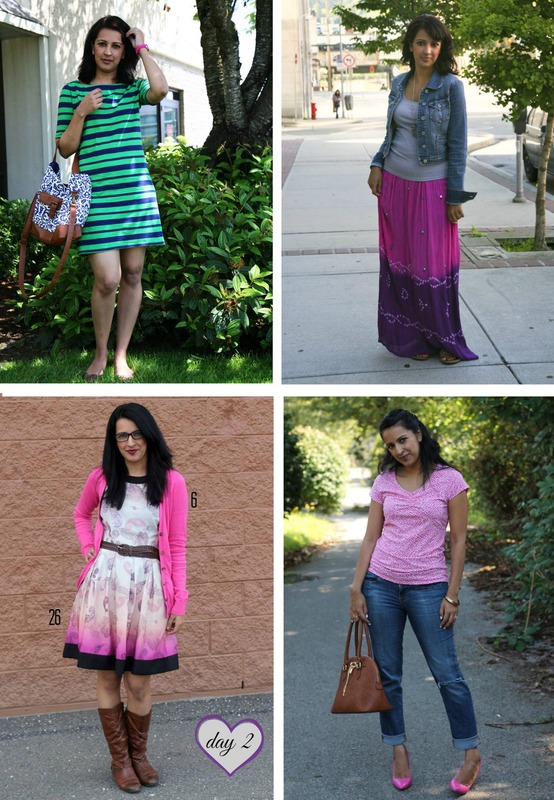 I hope you gals found some inspiration for cute spring & summer outfits from this little walk down memory lane! Looking through all my old pics has helped me a make a sort of ‘shopping list’ of items I need to pull out of boxes and put in plain site so I remember to use them more often.. The images in this pic were taken by my friend Jeanne, my husband, and my son over the years! the long sleeved maxi dress is gorgeous! Love it! You look amazing in all these pics! A cargo vest is one the items I’m really looking to add my closet this spring… I’m always loving the bright green and navy blue stripped dress. That is a nice idea it is truth in fashion market that if you get something in new style then it becomes a trend. This will prove a nice experiment for customers who buy online kurtis.